Highly effective for women problems like menstruation irregularities and leucorrhea. Useful for discomfort, irritability, anemia, loss of appetite, digestive system. Makes the body internally strong and skin acne free. Removes back ache, fatigue and general weakness. Usage : Take 10ml. 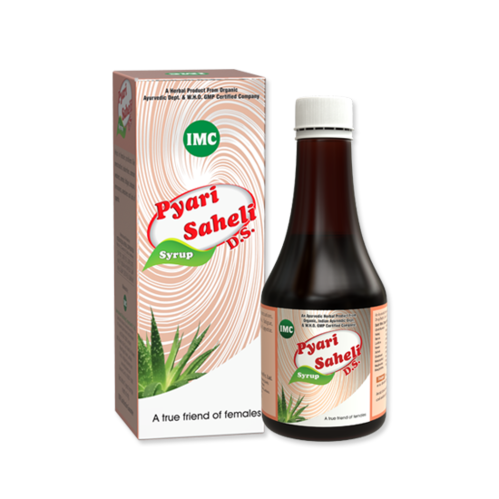 Pyari Saheli Syrup twice a day or as directed by the physician. Southern Ayurvedic Suppliers was established in the year 2010. We are the leading Distributor, Trader And Supplier of Herbal Health Care Products. We provide complete range of herbal health care products in which we provide genuine and best quality products.